Machaba Camp is situated in the game rich Khwai area. 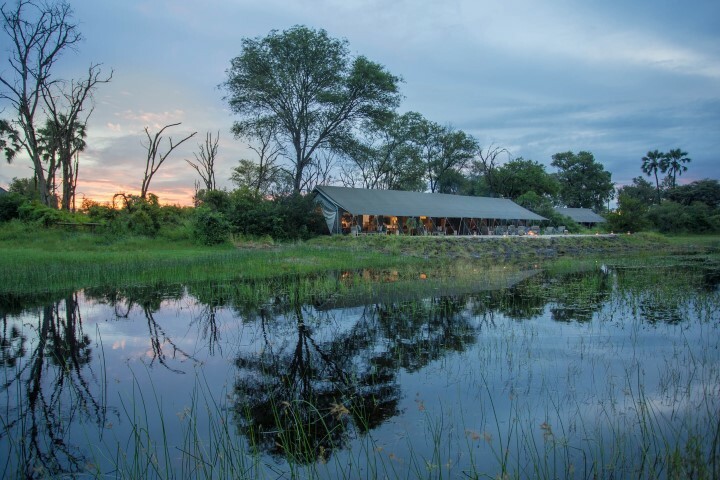 The Khwai Concession is a 180 000 hectare reserve situated in the north eastern Okavango adjacent to the Moremi Game Reserve. The name Machaba is the local Setswana name for the Sycamore Fig Tree, the tree of life. 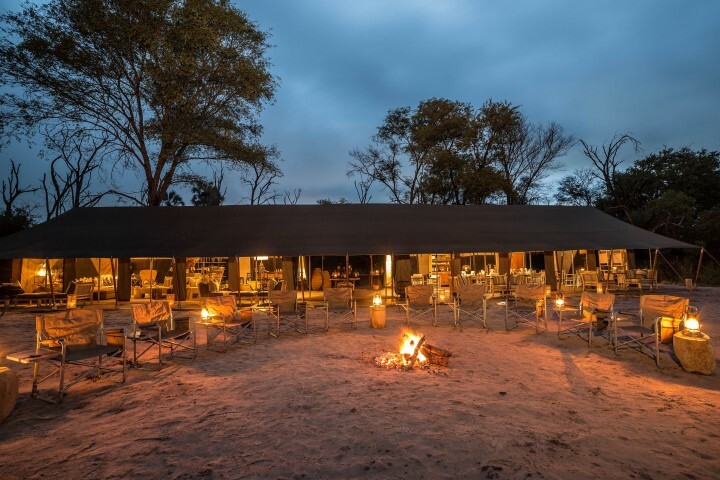 Machaba Camp is independently owned and run, and is aimed at the affordable luxury travel markets across the world, offering great value for money and a unique classical safari experience. 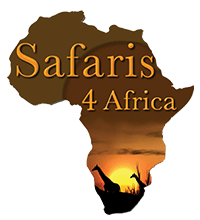 Machaba Camp will appeal to the novice safari guest as well as to the seasoned safari traveller. The Gomoti tree is locally known as the water fig and grows alongside waterways in the Okavango delta. It’s a smallish tree which sometimes grows no bigger than a bush. The Gomoti trees line the waterways and provide excellent cover for nesting water birds such as herons and storks. 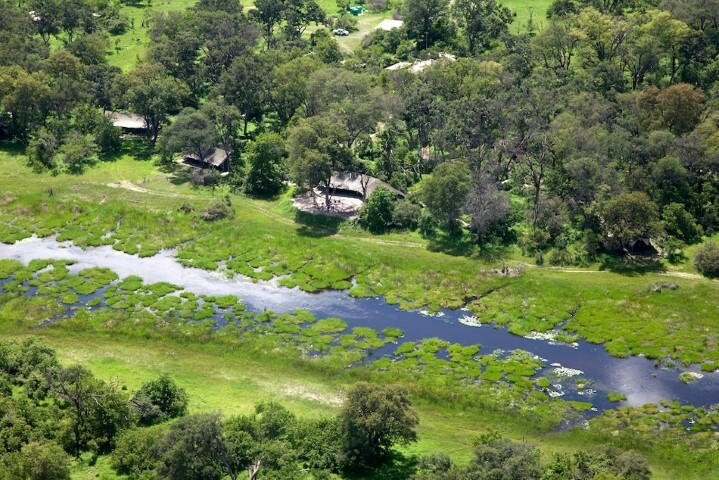 Situated on the edge of the Gomoti river system is Gomoti Plains Camp. 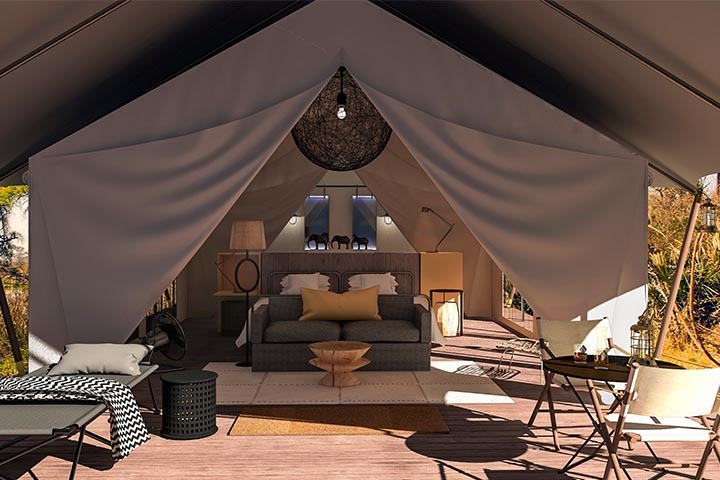 The new camp has 10 luxury tents which include 2 luxury family tents and 8 luxury double tents, all with en-suite bathroom facilities. 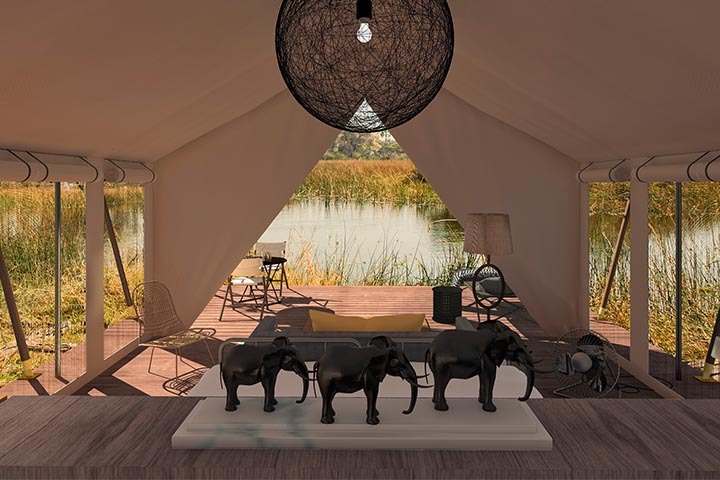 Built in a similar style to the signature Machaba Luxury tents, the Gomoti Plains tents and main area are slightly raised on wooden decks overlooking the Gomoti river system.